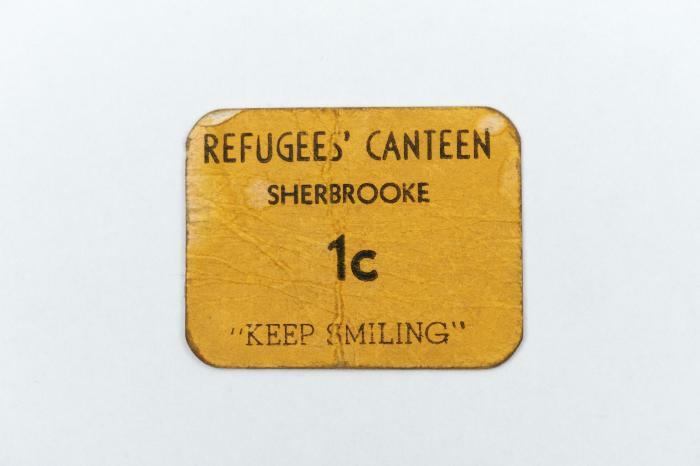 DescriptionCamp money valued at 1 cent issued to internees at Camp 42 in Sherbrooke, Quebec. Printed in black ink on yellow paper. NoteInternees were paid 25 cents per day for completing various work duties. Some worked in the kitchens – washing dishes, cooking, and cleaning up – while others produced defence items for the Allied war effort, such as camouflage nets, ammunition boxes, and socks. Shortly after this money was issued, the term "refugee" was replaced by "internee."